Council of Europe expert on human rights online. Member of the Sino-European Cybersecurity Dialogue (SECD at HCSS) and ICANN NCUC. Assistant professor of international law (University of Lodz, Poland). Specialisation: cybersecurity, human rights, Internet governance, international law. Dr. Joanna Kulesza is an assistant professor of international law at the University of Lodz (Poland). She has been a visiting lecturer with the Oxford Internet Institute, Norwegian Research Center for Computers and Law, Westfälische Wilhelms Universität Münster and Justus-Liebig-Universität Gießen. She was a post-doctoral researcher at the University of Cambridge and Ludwig Maximilians University in Munich. 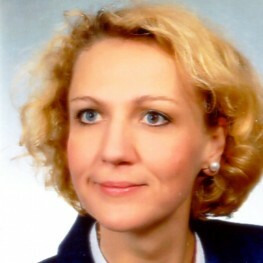 Kulesza serves as an expert for the Council of Europe on human rights online (Ukraine 2015, Moldova 2016) and for the Sino-European Cybersecurity Dialogue. She is also a reviewer for the EU COST program and a faculty member of the Program on Cybersecurity and Internet Governance at Indiana University Bloomington. She is the author of over 50 peer-reviewed papers and five monographs on international and Internet law, including “Cybersecurity and Human Rights in the Age of Cyberveillance” (together with R. Balleste, Rowman and Littlefield 2015) and “Due Diligence in International Law” (BRILL 2016). Her research focus is on the intersection of human rights and cybersecurity.